I spoke with Kara & Cole only a little over a month before their intimate affair. I was really excited about the privacy of their Wedding Day, because they really just wanted to get married. Sharing this moment with thirty of their closest family members & friends. And the rest was history. After every storm there's a rainbow. 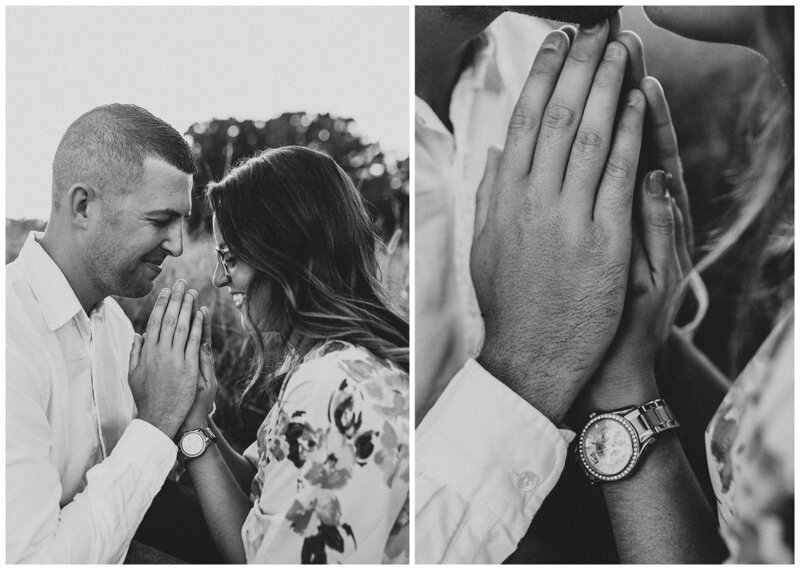 I've followed Keisha & Tyler's story long before this session was in the making. I'll actually reference way back to an email I received from Keisha in the fall of 2015 inquiring for photos of her & her husband, Tyler. In the email she expressed to me their hardship and the two miscarriages they had suffered through. After that, I closely watched their story build up to this moment for the next two years. Keisha may not know this, but she is actually a person that has made me appreciate my sweet child, Colt, even more. When I post photos or videos of him for our family & friends to see, she is almost ALWAYS in the back of my mind. I don't want to use the word "guilt." But I have this awareness that there are couples out there that are longing & aching for this. To snap memories on their iPhones, to hold, love & witness something so special like a child. And I have this awareness every single day of my life because of people like Keisha & Tyler. Last week I met them for a 25 minute mini session to capture this miracle that God has laid out for them. Keisha cried when she told me that this was their last hope before finding out she was pregnant. I edited & delivered these photos to her in less than 24 hours. Kate & Michael, I hope this day was everything & more that you planned for. I'm not sure where to start with this one, as these two were way more entertaining to me than I had to be for them. Typically with my engagement sessions I direct, so that my couples have tasks to do that keep them busy & forgetful of my camera. But Beth kept both Thomas & I easily entertained. She chose to end with a mountain overview and... SHE'S AFRAID OF HEIGHTS. Y'all... that segment was the easiest & most fun part of the session! I gave ZERO direction, watching Beth cling to Thomas for dear life. I'll let these photos do the rest of the talking. So this blog post is a lengthy one for me, but Ashley is an important friend in my life. I know she is going to be the most amazing mother. She listens when you speak. These are the friends that make you feel that you've struck gold. She isn't scrolling on her phone. She isn't worrying about the stress factors ahead. She is enjoying herself in this moment. She's smiling, she's happy & man, is she beautiful. Josh, thank you for being the most perfect husband to her & for always showing her how amazing she truly is. Vivian, your parents will never let you go without, sweet girl.